As the snow melts, more and more pilots are taking to the sky to spread their wings in the warmer weather. While worries of ice and snowstorms may seem like a thing of the past, spring and summer weather brings about a new set of safety concerns. It is important to remember our personal limitations and to not feel pressured to meet timelines when facing this season’s unpredictable weather. Keeping safe also has a convenient side effect, it may help your insurance premiums! 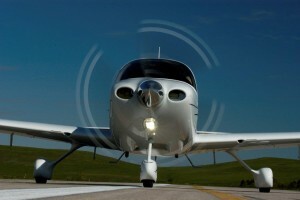 Safe flying practices can often lead to helpful discounts on your aircraft insurance! For example, some carriers offer up to 5% off non-owned coverage for those that complete a WINGS – Pilot Proficiency Program or phase prior to their renewal. Others offer discounts on owned aircraft policies when a WINGS phase or annual recognized training is completed. Aircraft organizations such as EAA and AOPA offer many training materials for a pilot to keep refreshed. By simply providing your member number you can gain access to special perks and discounts on your insurance policy. The easiest way to save money on your aircraft insurance is to call the pilots and agents at Aviation Insurance Resources (AIR). AIR shops all of the major aviation insurance markets to ensure that you are receiving the best rate and broadest coverage on your aircraft insurance. From Cessna 150 to King Air insurance and flying club insurance or coverage for corporate aircraft, AIR has a competitive policy to serve all of your needs. To find out more about discounts on your aircraft insurance, please contact Aviation Insurance Resources by calling 877-247-7767 or visit AIR-PROS.com today! You can also follow us on Facebook, Twitter, LinkedIn, Pinterest, and Google+. Keep flying safe, we’ll see you at the airport! PreviousPrevious post:Aircraft Insurance and the Adventurous AirCamNextNext post:Aviation Scholarship Opportunity!